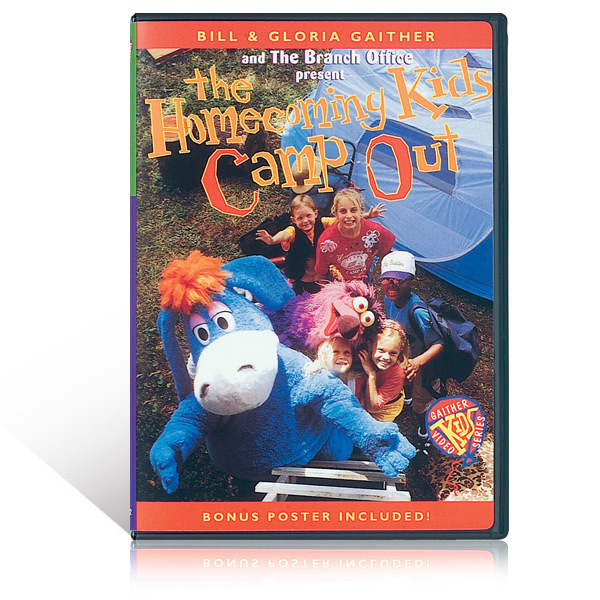 In Homecoming Kids Camp Out the kids meet at the tree house to go on a camping trip with George Younce, Vestal Goodman, their bird-brained friend Fritz and their new friend Bailey, a huggable blue donkey! (He's from the long line of Balaam's talking donkeys!) As your children watch,they will learn that camping trips can be a lot like life.